Students and Postdocs who wish to join the lab should contact Sergei Grivennikov directly. It has become recently clear that Inflammation plays important roles at different stages of tumor development, including initiation, promotion, malignant conversion, invasion, and metastasis. Immune cells that infiltrate tumors engage in an extensive and dynamic crosstalk with cancer cells and some of the molecular events that mediate this dialog have been revealed. Inflammatory microenvironment is an essential component of all tumors, including some in which a direct causal relationship with inflammation is not yet proven. Importantly, only a minority of all cancers are caused by germline mutations, whereas the vast majority (90%) are linked to somatic mutations or epigenetic changes and environmental factors, including preceding chronic inflammation. Recent studies provided further evidence about the connection between inflammation and cancer, as non-steroid anti-inflammatory drugs such as aspirin, significantly lower the risk of cancer death. Several types of tumor-associated inflammation have been outlined, which either pro- or anti-tumorigenic effect. Given the importance of the functional interaction between immune cells and cancer cells, the outstanding question is what mediates such a cross-talk? 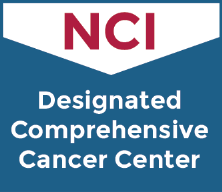 Our research interests are to connect various immune signaling pathways with pathogenesis of inflammation-associated and sporadic cancers, including colon cancer. 1. Examine the role of various inflammatory cytokine pathways in regulation of tumor-elicited inflammation tumor growth, invasion and metastasis. 2. Explore the mechanisms of how inflammatory response in the tumors is induced, including potential contribution of microbiota and endogenous factors produced by the host. 3. How manipulations with the strength and specificity of the host inflammatory response may aid in the development of better preventive and therapeutic strategies.